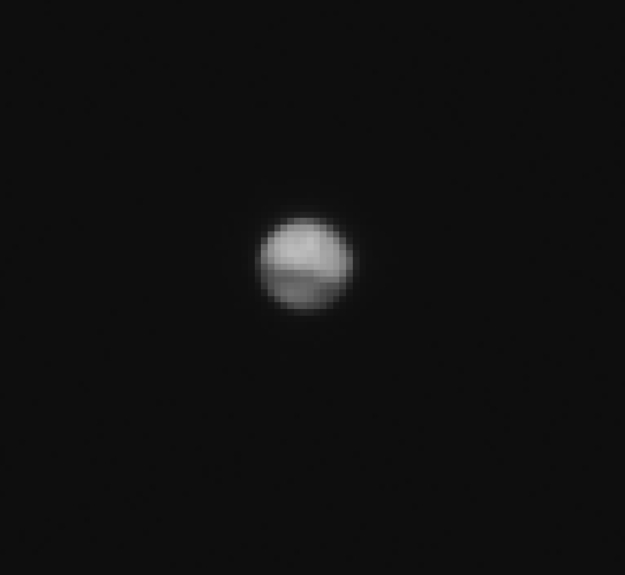 The European-Russian ExoMars spacecraft has just taken a sneak peek of its target destination through its camera lens. Although in low-resolution, the image marks an important milestone for mission scientists, proving the imaging instrument on board the orbiter works as expected. The first set of pictures was sent when the orbiter was about 25 million miles (41 million kilometers) from Mars. The spacecraft will deliver better quality images once it is finally at the Red Planet. “The images have confirmed the sensitivity of the instrument and are sharp. It seems to be well-focused and the signal level seems to be close to prediction,” said Antoine Pommerol, co-investigator of the Colour and Stereo Surface Imaging System (CaSSIS) at the University of Bern, Switzerland. CaSSIS is a high-resolution imaging instrument on board the ExoMars Trace Gas Orbiter (TGO) designed to take color and stereoscopic images of Marian surface features. It consists of a three-mirror off-axis telescope with an additional slightly powered folding mirror projecting an image onto the focal plane. The instrument is expected to cover a five-mile-wide swath of the surface in four different wavelength ranges. The camera will be used to image sites that have been identified as potential sources of trace gases and investigate dynamic surface processes which may contribute to the atmospheric gas inventory. CaSSIS will also be utilized to indicate potential landing sites by characterizing local slopes, rocks, and other possible hazards on Mars. The imaging system was developed jointly by the University of Bern, the Astronomical Observatory of Padua in Italy, and the Space Research Center in Warsaw, Poland, with the support of local industries and funded by the Swiss Space Office (SSO), the Italian Space Agency (ASI), and the Polish Space Agency (POLSA). The instrument was switched on for the first time on April 7, 2016, when it took an image of a randomly selected area of the sky. This pictured allowed the team to identify a group of stars. ESA noted that other ExoMars scientific instruments were also checked this week. The probe will perform a major course correction July 28, which will line it up for Mars. The ExoMars 2016 mission, launched on March 14, 2016, from the Baikonur Cosmodrome in Kazakhstan, consists of the TGO and the Entry, Descent and Landing Demonstrator Module (EDM) called Schiaparelli. The mission is currently about four months ahead of its arrival at Mars. TGO is slated to enter Martian orbit on Oct. 19, 2016, and on the same day, the Schiaparelli module will try to land on the Red Planet. “TGO and Schiaparelli instruments are all working well, and the science teams that operate them will continue calibration and configuration checks while en route to Mars to ensure they are ready for the exciting mission that lies ahead,” Håkan Svedhem, ESA’s ExoMars 2016 Project Scientist said in April 2016. 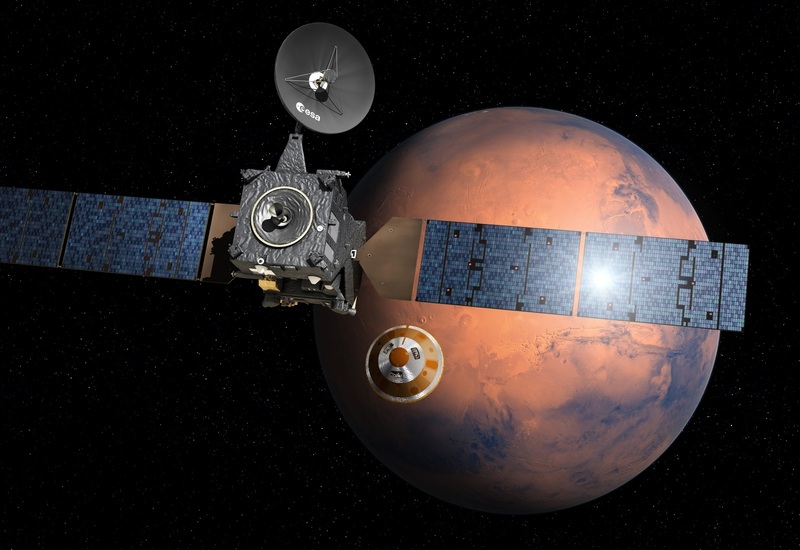 These two spacecraft are a part of the first out of two ExoMars missions planned. The second, scheduled for the launch in 2020, will send a robotic rover to Mars.